I apologize. There are many others who can write with far more knowledge and expertise about this topic. I write out of deep gratitude from within the limits of my situation. On July 1, the Very Rev. Peter Gillquist fell asleep in the Lord. 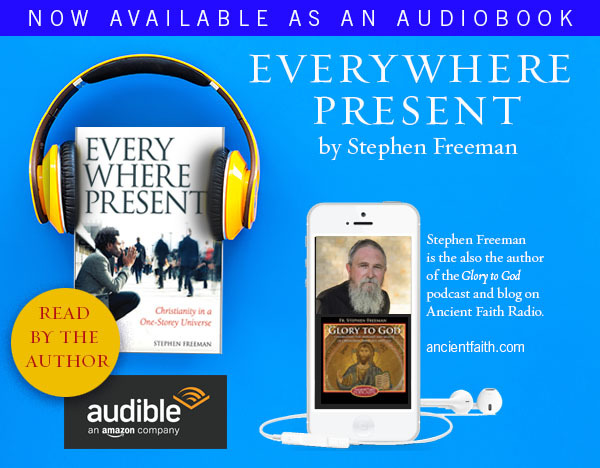 His story, along with that of many others, is part of a modern transformation of the Orthodox Church, an awakening to the work of evangelism for the Church that carried the gospel to the Roman Empire and beyond, and witnessed the conversion of ancient kingdoms across the face of the globe. It was also a Church that, battered by persecution, dominated by hostile states and limited by state policy, had largely seen its role as the care of its own with evangelism left in the hands neighboring, colonial powers. In America, Orthodoxy was a Church of immigrants, often held in disdain by the surrounding Western European-based ethnic groups. It was viewed as “exotic,” but “backwards,” and ill-suited to the needs of a modern world. Stories abound in the English-speaking world of those who inquired of Orthodoxy only to be turned away. Met. Kallistos Ware relates how his first approaches to the Orthodox faith were rebuffed. He was told to remain an Anglican. With persistence he was told that he could become Orthodox, but should not expect to become a priest. The late Archbishop Dmitri of Dallas, came to the Orthodox Church at age 16 with his sister. They attended Holy Trinity Church in Dallas for weeks before anyone spoke to them. Vladyka said that he was 21 before he ever heard a service in English. The language barrier was difficult for many. Following his conversion in 1958, Met. Kallistos authored one of the first books in English to give a comprehensive introduction to the Orthodox Church. It was published in 1963. The first all-English language parish in the United States (according to my sources) was founded in the 1955’s in Tarzana, CA. It was a novel idea. My first explorations of Orthodoxy came during my college years in the mid-70’s. In 1981 I lunched with a Greek Orthodox priest who told me that I was “better off staying where I was.” It felt positively ecumenical. It was not an ecumenical gesture. The priest had no doubt of the nature of Orthodoxy (as the true faith). He simply had no sense that the treasure given to him was meant to be shared. History had divided Christians, and they were best left where they were. Fr. Peter Gillquist, an extremely gifted writer, speaker and evangelist, was part of a group of evangelical Christians who had begun to explore Orthodox thought and life. In true protestant fashion, the group formed a series of Churches (the Evangelical Orthodox Church). But in true Orthodox fashion, they began to pursue reception into true, canonical Orthodoxy. He related that story in his book, Becoming Orthodox. In 1987, 17 parishes with 2,000 members were led into the faith under the omophor of the Patriarch of Antioch. Though the group would initially have its own unique life and character, by 1995 they were fully assimilated into the life and liturgical practice of the Orthodox Church. Their reception was greeted in a variety of ways by the Orthodox. Some worried that they would bring corrupt practices and ideas into the Church (in practice, those parishes proved to be more “traditional” than many ethnic Churches). Others worried that their reception itself had violated canons (their clergy were ordained as priests as a group rather than individually – unusual but not unprecedented). But their journey into Orthodoxy was part of a transformation for Orthodoxy in the Western world. There were many factors that came together in the last quarter of the 20th century that opened the path of conversion. No one thing can be singled out. However, the evangelical commitment of Fr. Peter and others (including figures such as Archbishop Dmitri and Met. Kallistos) coincided with this transformation. Perhaps all of these came at a “tipping point,” as we say today. Recent statistical studies show that in the Greek Archdiocese of America, 29 percent of its members are converts (from Protestant or Catholic) with 12 percent of its clergy being convert. In the Orthodox Church of America (the jurisdiction in which I serve), over half of the clergy and the laity are converts (this does not include the significant number of young clergy who are the children of converts). Together these converts have brought a wealth of energy and insight. Publishing of material on the Orthodox faith, geared towards the non-Orthodox, has undergone an “explosion” in the last generation. The internet, though very uneven in its content and accuracy, echoes with this same energy. According to a 2010 demographic study, more than half of OCA clergy and laity converted from Protestant or Roman Catholic churches. In GOA churches, 29 percent of lay persons are converts to Orthodox Christianity and 12 percent of clergy are converts. Doubtless, such an influx of converts has had an impact on Orthodoxy. From all indications, however, the impact has not been to make Orthodox parishes more protestant or Roman Catholic. Converts are often eager to be less like their former associations. At the same time that this influx of converts has entered North American Orthodoxy, monasticism has rapidly expanded. For much of the 20th century, there were three to four Orthodox monastic communities in America – yielding a Church largely devoid of monastic experience. Today there are over 80 monastic communities. Though most are small, they are a growing part of the life of many American parishes. Orthodoxy in America is not becoming less traditional, but more so. My family and I were received into the Church in 1998. My two oldest daughters are married to Orthodox priests, and a significant number of my extended family has entered the faith. What was relatively easy for me was made possible by many others. Fr. Peter was an untiring evangelist, nurturing individuals in very isolated places. He took time for everyone. He lived in the best missionary manner. May his memory be eternal! Thanks for writing and sharing this testimony to the work Fr. Peter and others. I’d venture to say that many evangelical converts who are in the Church today and that have come in within the last 20 yrs have been influenced, even if unknowingly, by the work of Fr. Peter. If not influenced, we’ve least walked on a path made more walkable by others. His book, and the EOC were important stepping stones in my journey into the Orthodox Church. Glory to God. May his memory be eternal! Reblogged this on The Ruminations of a Orthodox Catechumen. The ‘nationalistic’ churches have been a problem in the diaspora for some time. Saintly Elders from outside the traditional Greek, Russian, Rumanian etc countries will hopefully start springing forth (they have already started) so that this positive change will come about the way it should. Monastic growth, in fact, is the most reliable indication that the Church is truly gaining ground according to Elder Aimilianos of Simpos Petras. Elder Sophrony also mentions that even a single person who truly comes to know God personally , rather than to know about God as an object of knowledge, is far more significant (for the whole world and for the spreading of the Church) than thousands being converted – this is based on St Isaac the Syrian. Elder Sophrony is quite right (as usual). Fr. Stephen, thanks so much for this post! I was fortunate to see a posting on Facebook from a friend referring to Fr. Peter’s family update website through their church community last week and have been keeping up with this amazing time. I have never met Fr. Peter, but I have the pleasure of knowing and attending church with Fr. Gordon Walker, his friend, and one of the priests ordained with him. God has been so good to us through these amazing followers of Christ. I thank God and thank them — and I thank you, Fr. Stephen — for your service, your dedication to following Christ and reaching out a hand to help us along the Way. This verse is on my heart when I think of Fr. Peter, Fr. Gordon and all the dedicated men and their wives who know that Our Lord is truly the Lover of Mankind and share this knowledge with others, thank you! Quite lovely remarks, and so true! I strongly feel that Fr. Peter was a huge influence to many of us converts, and we owe him a great debt of gratitude! Memory Eternal, Fr. Peter. May his soul dwell with the righteous! My second daughter’s husband is the son of Fr. Gregory Rogers who was also ordained with Fr. Walker and Fr. Peter, and was part of the original EOC that came under the Patriarch of Antioch. My son-in-law, Fr. Philip Rogers is an outstanding young priest, and was in seminary with Fr. Peter’s son, Fr. Peter-Jon Gillquist. (They were in school with a number of other convert-offspring as well). It is in the fervency, depth and maturity that I see in the Orthodoxy of these young men and women that I find my greatest joy. To give to your children something you searched for through the better part of a lifetime, and to find that they love it as well or better, is a very rare thing in our modern world. I have been deeply blessed in my life, without merit. Fr Peter’s books from long ago were helpful to me as a young Christian. And his later books have led me to an investigation of Orthodoxy. Your blogs continue to create a hunger in me. I would love to be able to attend an Orthodox church. Maybe someday. Your blog is food for my soul. Blessings. The appeal of Orthodoxy to me is that IS different from Evangelicalism. From my perspective Evangelicalism has lost some important aspects of Christianity, and when I look at Orthodoxy I see these aspects alive and well. Because of this I would want to JOIN the Orthodox Church, not transform it into something incomplete. Also adding to this appeal is how friendly my experiences have been with the Orthodox (granted these have been few and limited to online interactions). I had heard of a group of Evangelicals that ended up joining the Orthodox. but I had no idea that they were part of such a huge transformation of the Orthodox Church that has led to this friendliness. The Orthodox have a lot to offer the west, and the west has a lot to offer the Orthodox. Marrying the two will take more people like Fr. Peter. I pray that God will raise up more leaders like him. My journey to Orthodoxy has been through the Evangelical Orthodox(EOC) communion of churches. Though it came about years after Fr. Peter and the 17 parishes were received into the Antiochian Church. There were a small number of EOC parishes that did not enter the canonical church at that time as their leaders did not think their parishes were ready for such a move. They continued on as an Evangelical Orthodox parish and also continued to share what they were discovering with hungry souls. I was part of a group that discovered Eastern Christianity from one of these parishes and as we grew in knowledge, we recognized our need to fully enter into the canonical Church. We are now St. Timothy Orthodox Church (OCA) in Toccoa, GA. Thank you Fr. Peter for your faithfulness in seeking the One holy catholic and apostolic church that I may follow in your footsteps. You’re so modest! You yourself have been an untiring force of evangelism and welcome for so many. May your tribe increase! Thank you for this! Thanks to Fr. Peter, Met. Kallistos & SO many others, my entry into Orthodoxy was also much easier. Also, thanks to their works & writings, my witness of Orthodoxy to the non-Orthodox, while never easy, is much easier. This week Orthodoxy lost a great convert-priest-man that ended up influencing unknown numbers, including myself, in his love for God & the Orthodox Faith. There are three who have opened the hearts of many in the English speaking world: Fr. Peter; Met. Kallistos; and Fr. Seraphim Rose. Thank you, Father! Great testimony, story, even great statistics! Startling to me that you have noted the influx of converts into the OCA and GOA, but not into ROCOR, which has its fair share – the parish to which I belong is 1/2 to 2/3 convert, headed by a convert priest (whose family also consists of converts, including his brother, who is also a priest). One of the shining lights of ROCOR in New England was a convert, together with three of his six children (and three were born Orlthodox) – his oldest son, now of blessed memory, was the head of the Jerusalem mission before his death, and his oldest daughter, a matushka, is a well-known writer, speaker, and overall apologist for the Orthodox Faith. Then there’s Bishop George of Mayfield, PA, a convert, and Abbot Tryphon of All-Merciful Savior Monastery on Vashon Island in Washington, also a convert – and these are just the people known to me personally. Anyway, memory eternal to Father Peter, whose search for the Truth blew open “America’s best-kept secret”! Mrs. Mutton, I was pulling up examples from the statistics. I think conversions have been spread across the face of Orthodoxy in the US. It has been particularly strong in the OCA, but they are everywhere. Thank you for this article! As one of the children of those that made a conscious choice to convert to Orthodoxy via the EOC, I look at it this way: Because of the guidance and perseverance of men such as Fr. Peter, my two parents became orthodox, their three children became orthodox, and so far seven of their grandchildren have become part of the first generation of truly American “cradle” orthodox. And this same scenario has been multiplied thousands of times. Glory to God! As a cradle Orthodox from a traditionally Orthodox country, I have to say that the testimony of many who have converted to Orthodoxy, buying the field into which the treasure of the heavenly kingdom is hidden, has strengthened the faith of many. There must be something to our faith if people of all countries, nations, and religions make such efforts to acquire the fullness of it. It makes you aware of the great value of our treasure and also aware of the great danger of losing it by ignorance and carelessness. A most eminent Bishop -and researcher- (Nicholaos Hatzinikolaou of Mesogaia), once remarked that, he rarely, if ever, saw people who were deeply interested in finding God leave Orthodoxy (the ones who did it, did it for other reasons). On the other hand, he discovered that people from other denominations who had a sincere interest in finding the “invaluable pearl”, would almost always end up Orthodox in the end. I am sorry but the article did not mention it. Who are you? I am Fr. 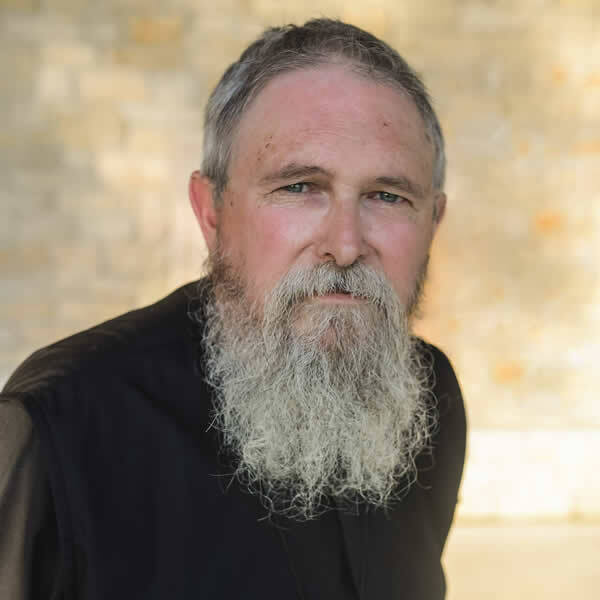 Stephen Freeman, Rector of St. Anne Orthodox Church (OCA) in Oak Ridge, TN. All well said and true. I’m not that much younger than you, and I already forgot about your impending website upgrade. I’ll hold my peace and wait to see what wonders unfold. I never met Fr. Peter, but I have certainly met many of those influenced by him in his God given mission. I became Orthodox at this past Pascha, after a lifetime of searching and following many paths. My becoming Orthodox was at one of the convert parishes. May Almighty God grant him memory eternal! I prefer the new look to the old. Just my two cents. Now you’re just having sport with him. (grin) I’m betting you use Steve Robinson’s blog to keep up your sense of humor. A great place to do it. Your shaving comment reminded me of his Monkabee magazine covers. Beards are important for distinguishing Orthodox priests from Catholic priests. Interesting fact: The last pope to sport a beard was Julius II (aka the Warrior Pope), who occupied the Seat of Peter from 1503 to 1513. Several years ago I posted an article whose accompanying picture had myself and two priest friends in conversation with the Patriarch of Jerusalem. Someone commented, complaining about the lack and shortness of beards on the other priests, citing canon law. I responded with a question of who had granted him permission to read the canons and judge the beards of priests. 🙂 Among the sillier things that go on are the urban Orthodox legends about length of beards and the like. Steve Robinson’s blogs are wonderfully entertaining. Without a doubt, beards are the primary obstacle standing between east-west reconciliation. Bah. We Latins prefer our monks bald and our prelates smooth-cheeked. Fr. Peter’s entry into the Orthodox Church along with 2000 members of the EOC in 1987 was the result of hard work, timing, and the hand of God. And this was also helped along by both the support of Met. PHILIP of the Antiochian Orthodox Archdiocese and members of the Antiochian community. Yes, 1987 was a pivotal point for Orthodoxy in America, but it remains to be seen how Orthodoxy will fit long term within broader communities here in this country. And the best bet is a merging and blending of Orthodoxy with faithful from varied backgrounds – both convert and cradle of whatever ethnicity worshiping together as Americans. We have much to offer each other. Fr. Peter and the EOC set the Orthodox Church here in America on a path that would have happened inevitably with or without them. But now it is without Fr. Peter that Orthodox Christians will continue his legacy of building a stronger Church in this country. And I pray this will happen by communities working together for a unified American Orthodox Church and avoid adding another label of ethnicity . . . Convert. Yes. The label (especially when it is used pejoratively) will soon enough pass into the blend (I think). I am very sanguine, even confident, of a single Orthodox jurisdiction in America (and sooner rather than later). Some of this has to do with the international scene. Things are very different in the 2010’s than they were in the 1980’s. 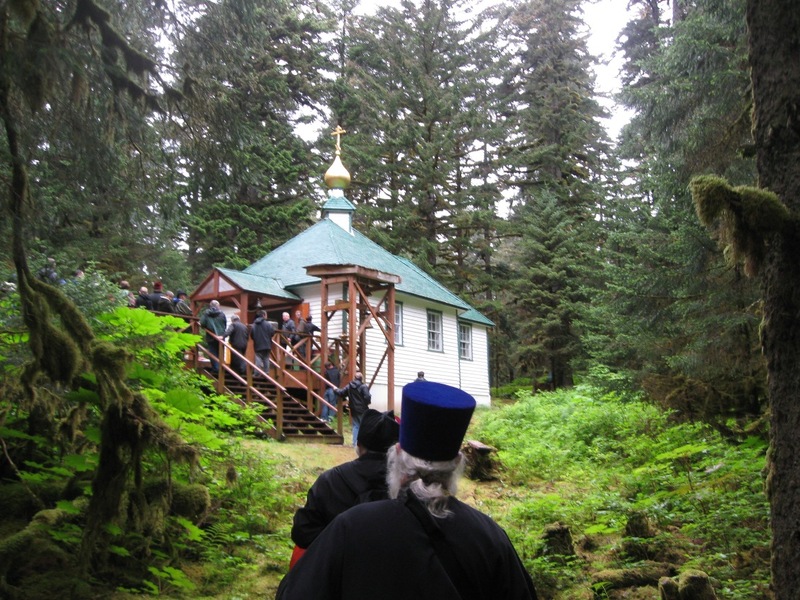 The landscape of Orthodoxy has shifted more than at any time since 1917 or so. The forces that originated and perpetuated jurisdictions are slipping away while an awakened Orthodoxy is becoming much more present in the world. Divided jurisdictions in Western Europe are disastrous at a time when the growing secularism of that Continent is challenging Christianity as never before. There are deep motivations to heal the matter and move forward. The same is increasingly true here. The sad disappearance of Orthodox populations in the Middle East (ever so silently in our American media) is a warning that the constructs of the 20th century’s disarray are deeply dysfunctional in the present world. I think this is not lost on world Orthodoxy. If Damascus can disappear (and it can very soon), Constantinople should not take its own position for granted. If the EU watches the quiet disappearance of Christians from Palestine, they’ll watch quietly anywhere else as well. Greece has almost no sway in the EU, I would imagine. All that is to say that I think we’ll be seeing movement towards unified Orthodoxy in America sooner rather than later. It will retain its ethnic flavors, but will, I hope, be known as American Orthodoxy (or maybe just “Orthodox” since that says it all). Ah, the filioque — like the magician’s woman of her day, steps out, Higgs boson like, from her box — quite whole! Amen! Becoming Orthodox was the first book I read after my husband blew my mind by taking me to the Antiochian Church he had “discovered”. It help me realize it wasn’t a cult! Thanks to Fr. Peter for providing such a great explanation of Eastern Orthodoxy to this southern girl, and to the other dedicated men who searched with him for the New Testament church all those years ago, including our own Fr. Gordon Walker. Now Orthodox for 15 years, I join the Church in prayers for Fr. Peter. Memory eternal! And thanks for the photo of Ss. Sergius & Herman Chapel on Spruce Island. My husband and I along with Doug Fadel and Father Mikel Bock built that bell tower and hung those bells. That photo sure brings back wonderful, peaceful memories of our time on St Herman’s beloved Spruce Island, AK. dinoship, I grew up in the GOC. I left because I was seeking God and truly felt that I could not find Him there. I tried hard to make it work, but at the time, I felt as if God was dead in the GOC. I DID find Him in a Baptist church I was invited to, a place where my faith and spiritual life grew by leaps and bounds. Ten years later, however, my husband and I are praying quite seriously about when it is that God wants us to join the OAC (for many reasons, we know it is not a question of “if”). An Orthodox priest I met told me that the Baptist church led him to Jesus, and Jesus led him to the Orthodox church. My story is only slightly different; my parents brought me to the Orthodox church, but the Baptist church led me to Jesus, and Jesus is now leading me back to the Orthodox church. Interestingly enough, a few years ago, I visited the church that I grew up in. There was a new priest, one who I would call rather revolutionary for the GOC. He gave the most powerful homily I had ever heard in an Orthodox church. If he had been my priest when I was growing up, I would have never left. Erica: “…if he had been my priest when I was growing up, I never would have left” Not criticizing you Erica, I understand about finding Jesus first and him leading you either to or back to the Church and I am the last person not to value good priests and good bishops, I am highly blessed by having them. I have also experienced a bad priest which makes it really hard. However, it is up to each of us to develop enough strength to weather the capriciousness of who happens to be the priest or the bishop. Our longing for Jesus Christ has to be primary. Our longing for communion with Him. Once that longing is established in your heart, I dobut that it will be fulfilled anywhere else. Even with all of the total dysfunction that exists in the Church Jesus is here and taking us to his heart. It is up to us to have a wedding garment. If we are unable to withstand the dysfunction and grow in joy in the process, it is unlikely that we will be able to withstand the coming presecution. Perhaps, just perhaps, that is why the dysfunction is allowed to exist (not that it has to), as a prepration and a test of our connection to and desire for the love of our Lord. The monastic virtue of total non-attachment to all men, and all things (“All men are liars” -Psalm 116-11), and total attachment to the only True One and Lord, (and only through Him to all of mankind), is key. One is often warned not to over-admire and become attached even to holy men, as they are only humans and our soul needs attachment to the Lord. Attachment must not be offered to anyone else. I find this virtue’s relevance constant. It does take years to cultivate this with the help of God, but when the “Flood” comes, you will have built an ark – even if it has taken many years to build. no matter how many times we are reminded of what you said, it is always useful, as we always tend to lapse as long as we live in this body, “Our longing for Jesus Christ has to be primary”. Haha. I admit I walked right into that one! dionship, the attribute that has helped me through the years is that my parents instilled in me the virtue of seeking the truth, even if you didn’t like it. I forget that sometimes, and I certainly don’t make all good decisions nor am without sin (ha!). However, to me always seeking the truth is much the same as non-attachment or at least a beginning to it. It has gotten me through a lot of storms in my life. To tie it back to Fr. Peter Gilquist: it seems he and his friends followed much the same approach.